Ahmadinejad Government closed Medical Science University,as a result many students are in shock and are out of university ! ILNA has reported that, The medical Science University of Iran not by suggesion of Medical Science University and Ministry of health or students but by a suggestion of the office of Ahmadinejad was closed which brought shock among students. According to ILNA news , the nursing and midwifery students are on strike in campus. 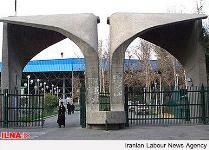 These students have no where to go , even the medical college of Tehran University won't accept these students. Green reporters in Iran / Comments on the news inside Taxi's:Tehran is under heavy military presence ! Regime has created more than 2000 military check points on the streets in Tehran! Since this morning Saturday Oct.30 , the city of Tehran is under heavy military forces and plain cloths agents presence.They stop cars and request for identification cards of the passengers which has brought heavy traffic . On more than 2000 locations in the streets in Tehran they have created chek points.When People and Taxi drivers reach to this chek points, they ask police forces; if it is martial law !? The police forces and agents stopping and searching the cars and identification of passengers. Due to economic anarchy and almost on the verge of collaps, Labor unrest and protest is growing. In recent weeks reports indicate of protest by laborers, government employees , students and many other sector of society. Tension between government and parliament members as well as people are growing. · and appoint a special envoy of the Secretary-General with a mandate to investigate and report on the human rights situation in Iran. The mass human rights violations that unfolded in Iran after the disputed presidential election of 2009 were a reminder of the precarious nature of fundamental freedoms in the country. The authorities imposed severe additional restrictions on freedom of expression, association, and assembly. Peaceful demonstrations were banned and protestors beaten, arbitrarily arrested, and in some cases shot. Scores were killed, both in the streets and in custody.The Iranian authorities subsequently tried hundreds unfairly, including in mass “show trials”, the main aim of which appeared to be to validate their version of events and identify scapegoats. In January 2010, two men convicted after “show trials” were executed for their involvement in demonstrations, despite their having been in custody since before the election. At least seven men and one woman remain on death row for alleged offences related to the election and its aftermath, while others have been sentenced to prison terms of up to 15 years after conviction of vaguely worded “offences” relating to “national security. ” Their trials make a mockery of justice.The trials typically take place after defendants have been held for long periods of detention – often in solitary confinement or incommunicado detention – in centers where torture and other ill-treatment are common. Poor prison conditions, including denial of adequate medical care, have also been used to bring further pressure to bear on those held and their families. Iran Green Media- RASA TV (Resaneh Sabze Iran- RASA)started its broadcasting for Iranian.The program is in Farsi. In the past the website of "Jaras" has informed Iranian for the coming of this media broadcasting outside of Iran. This media broadcasting will carry the guideline of green movement. Iranian student came to university on a donkey in protest to the shortage of gasoline ! Iran will face deplorable events in the coming future! Khamenei and Ahmadinejad together with all others in their circle dont know anything about managing and developing the country, all they know is to ruin Iran . Despite of all the money they have earned due to the sell of oil , nearly 400 billion dollar , the country's economy is now in shamble. despite of all the oppression, protest among workers , teachers and students are growing. What this regime is good at: is to arrest people, torture and kill them, this is what they showed interest . People in Iran see and hear this government is expelling teachers out of job , young graduate Iranian are jobless and regime instead of helping them, send bags of money to other regime and radical groups around the world. A hizbullah member whose house was destroyed during 30 days war between Hizbullah and Israel was talking in Press TV and telling: "It was the regime in Iran that build my house and paid me every month". This regime doesn't have talent to improve Iranian's living condition, instead it has all the talent to improve the life of Hizbullah , Hamas , Taleban and others like the regime of Karzay in Afghanistan. Iranian people won't tolerate this and won't forget this and will give a good lesson to this regime in the coming future. End the police state now ! 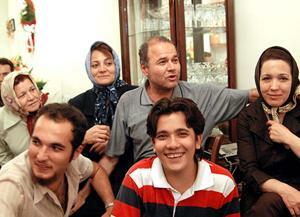 free Mansour Osanloo the labour union leader in Iran and hands off his family members! Regime agents wanted to arrest Mansour Osanloo's daughter in-law ! On last Wednesday regime agents in plain clothes ,on motorcycle and car attended at the house of Mr. osanloo who has been for a long time in Evin prison and tried to arrest his daughter in-law Ms. Zoya Samadi. At the time she wasn't home but the family members and neighbours were terrified. Family members of Osanloo attended to the court and asked wether any judeges including judge Mohammadi issued warrent and gave to these agents to execute, but Judge Mohammadi and no one had information about it. In the past Ms. samadi the daughter in-law of Osanloo was kidnapped from subway station and have been beaten and as a result she had a miscarriage. Identity: I'm Iranian and Persia as the backbone of my country's history ! "I am Cyrus, the king of the world, great king, legitimate king (son of Cambyses) whose rule Bel and Nebo loved and whom they wanted as king to please their hearts. "When I entered Babylon as a friend and established the seat of government in the place of the ruler under jubilation and rejoicing, Marduk, the great lord (induced) the magnanimous inhabitants of Babylon (Din Tir) (to love me) and I daily endeavored to praise him. My numerous troops walked around in Babylon in peace, I did not allow anybody to terrorize (any of the people) of the country of Sumer and Akkad. I strove for peace in Babylon (Ka Dingir ra) and in all his (other) sacred cities. As to the inhabitants of Babylon (who) against the will of the gods (had/were I abolished) the corvee (yoke) which was against their (social standing). I brought relief to their dilapidated housing, putting an end to their main complaints. Marduk, the great lord, was well pleased with my deeds and sent friendly blessing to myself, Cyrus, the King, who reveres him, to Cambyses, my son, as well as to all my troops, and we all (praised) his great (name) joyously, standing before him in peace I returned to (these) sacred cities on the other side of the Tigris, the sanctuaries of which have been ruins for a long time, the images which (used) to live therein and established for them permanent sanctuaries. I (also) gathered all their (former) inhabitants and returned (to them) their habitations. Furthermore, I resettled upon the command of Marduk, the great lord, all the gods of Sumer and Akkad who Nabonidus has brought to Babylon (su sa na) to the anger of the lord of the gods unharmed in their chapels, the places which make them happy. May all the gods whom I have resettled in their sacred cities ask Bel and Nebo daily for a long life (six lines destroyed) and always with good words remember my good deeds that Babylonians incessantly cherished me because I resettled them in comfortable habitations I endeavored to strengthen the fortification of Imgur-Enlil and the great fortification of the City of Babylon the side brick wall by the city's trench which the former king (had built and had not finished). This was finished around (the city), that none of the former kings, despite the labor of their yoked people, had not accomplished. I rebuilt and completed with tar and brick and installed large gates entrances were built by cedar wood covered with brass and copper pivot I strengthened all the gates I saw inscribed the name of my predecessor, King Ashurbanipal." A fragment in the Yale's Babylon collection was identified in 1970 by P.R.Berger, the professor of Munster, Germany, as part of Cyrus's cylinder that was transferred to the British Museum and added to the cylinder, who wrote in the journal of Assyrology (Zeiserrift fir Assiriologie), July 25, Vol. 64. The remainder of the text is quoted from A.
Darius Jahanian, M.D. is an obstetrician-gynecologist in the Kansas City area, with degree from University of Tehran and Washington University, St. Louis. He is a co-founder and president of the Fravahar Zoroastrian Youth organization of Tehran. Darius served as trustee of the Rostam Guiv Trust of California 1981-89, is a trustee and VP of the Rostam Guiv Foundation of New York since 1990, and its president since 1992. He is a founder and two-term president of the Zoroastrian Association of Kansas. A noted author and lecturer on the Zoroastrian religion, Darius also teaches religion classes for children. 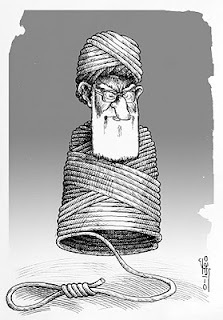 Iranian people will deal with Khamenei as new dictator ! Political cartoon by Nik Kowsar_ Showing Khamenei on top speaking about "enemy!" 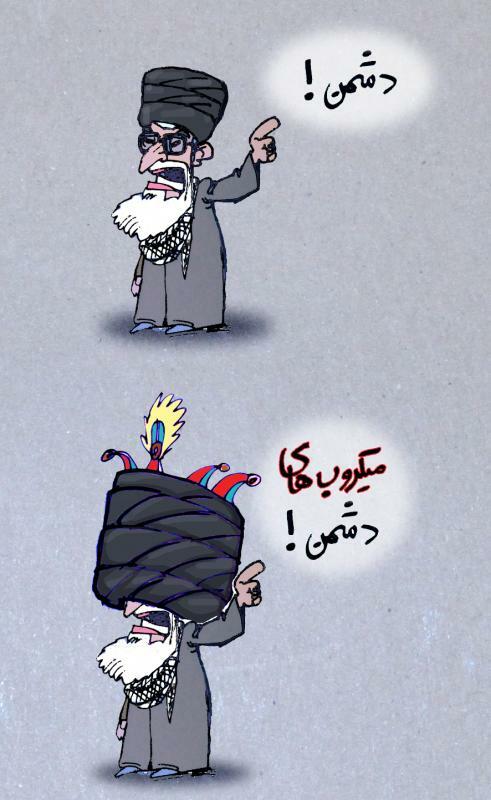 and on lower it shows Khamenei with crown speaking about " Enemi's viruses !". 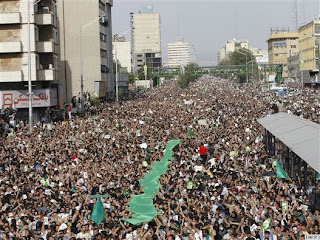 Recently Khamenei in his speech in the city of Qom, insulted people who are in the green movement as "Enemi's viruses". Befor, Ahmadinejad called Iranian people in the green movement as " thistle and motes"
Ministers in his government called people as "Rascals and Villains"
These words continues.....as the opposition grow ! Lawyers association all over the world, your colleagues in Iran needs your support now ! Never before the lawyers, their families and their respected association in Iran faced this much threat,pressure , intimidation and imprisonment by the regime . many Iranian human rights lawyer including Ms. Shirin Ebadi, Doctor Abdolkarim Lahiji and Mohammad Mostafaei have left the country due threat to their life, their families lives and due to persecution and unbearable pressure. But there are still lawyers in Iran who defend human rights and are members of the" Association of Human Rights Defenders in Iran". One of these lawyer is Nasrin Sotodeh, Naser Zarafshan and Mohammad Ali Dadkhah. Ms. Sotodeh is on the news these days. she is on hunger strike and is currently in Ward number 209 in Evin prison. According to news, she is in torture chamber and the interrogators of Ministry of Information are busy torturing her in a way that sometimes at midnights her cry ,weeping and groaning can be heared in prison hallways and wards.According to news, her cry and weeping can be heared almost everynight by other prisoners. On saturday September 4 the agents of current regime stormed at Ms. Nasrin sotodeh's house and she was later transfered to Evin prison.In protest to her situation, she has staged hunger strike since monday September 25th. Lawyers association around the world must protest against current regime of Ahmadinejad and in support of their colleagues, the Iranian human rights lawyers. UN human rights council must lead this protest and show strong action against the current regime of Ahmadinejad and Mohammad Sadegh Larijani the head of judiciary power in Iran. Hands off from our mothers ,sisters and brothers! This disgraceful regime of Khamenei - Ahmadinejad has created an atmosphere of security -terror environment inside Iran. During the last few days, the regime's agents and thugs have brought more terror on "mourning mothers" ( formerly known as "Mothers of Laleh Park") and their childeren. 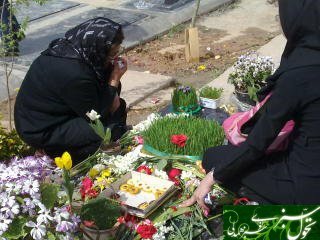 According to a report by official "Iran newspaper" , four members of "mourning mothers" have been arrested. These mothers who's childeren have been murdered in the hands of regime security-intelligence agents ( militia's) were tortured to accept the forced video confession.Regime is trying to silence these mothers by puting more pressure on them and their families. According to one of the mother ; Mrs. Akram Neghabi the mother of Said Zainali ,the student who have been arrested 11 years ago during student protest in Iran and was never returned home , was arrested at her resident together with her daughter. At the same time the agents also stormed at the house of Mr. Hesam Tarmesy and arrested his mom and his sister (Mrs. Jila Mahdavi 40 years of age and her daughter Ms.Maryam Najafi 26 years of age). this was happening while Mr. Hesam was suffering from liver and kidney problem after his release from prison and he was on bed at the time. The agents searched the house and took with them everything they wanted including passport, laptop, camera ,money, computer cases and other personal belonging. The regime has accused these mothers including Ms. Zahra Rahnavard the wife of Mir Hossain Musavi for having relation with "armed Mojahedeen group" . It is beleived that the agents have transfered their hostages to ward number 209 in Ministry of Intelligence torture chamber. More than 15 agents were involved in this operation at 10:30 pm on last Sunday. Hesam was released from prison earlier , but for revenge , after his release the ministry agents on motorcycle attacked Hesam with poisoned knives and severly injured him and if it wasn't the doctors he would have died. Iranian people won't silence and can't be silenced , they call : Hands off from our mother, sisters and brothers ! Ahmadinejad's economic policy will bring more people into the street for protest.Video from people's protest on election cheating ! Musavi former Prime Minister and one of the leader of the green movement to Government :Hold a referendum on Goverments policies ! Musavi to Government: Hold referendum and see yourself if the people accept your policies! Mr. Musavi the former Prime Minister appointed by Khomeini the founder of the Islamic Republic right after the downfall of liberal government and one of the green movement's leader who is critical to Khamenei and Ahmadinejad's way of handeling the country, and he also believes that he was the winner of the last presidential election , has called for a referendum on the Governments policies.he told to the Government officials that ; who has given you the rights to follow a foreign policy of adventuresome and despotism and create grave economic and political condition in the country.Dont cheer to yoursef . Hold a referendum and see if the people accept this devastating policies. In recent weeks regime thug's had organized a few attacks on Mir Hossain Musavi's home.They have also attacked and destroyed Mr. Karoubi's house.Mr. Karoubi is the former speaker of the parliament and one of the presidential candidate . He is also another leader of the green movement. Mr. Ejeei the Prosecutor General in harmony with other fundamentalist cleric's called the leaders of the green movement or " Sarane Fetneh " as he and others like him call it, be prosecuted. Mohsen Makhmalbaf's disclosure on how Khamenei came to power,his life,wealth,secrets and his son's role behind election coup d'etat in Iran ! A coalition of human rights organizations, including Human Rights Watch, called for the immediate and unconditional release of Iranian human rights lawyer Nasrin Sotoudeh in the below joint statement released today. 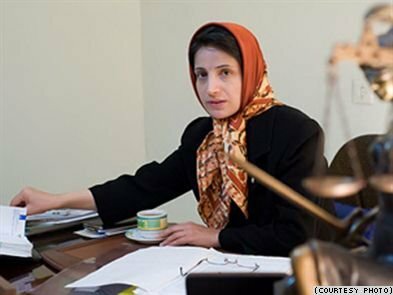 Sotoudeh, who has defended many high-profile human rights campaigners and political activists, has been held in Tehran's Evin Prison since September 4, 2010.
the Union Internationale des Avocats and the World Organisation Against Torture. (New York, October 1, 2010) – Nobel Peace Laureate and Iranian lawyer, Dr Shirin Ebadi, Amnesty International, Human Rights Watch, the International Campaign for Human Rights in Iran, the International Commission of Jurists, the International Federation for Human Rights, the Iranian League for the Defence of Human Rights (LDDHI), the Union Internationale des Avocats, and the World Organisation Against Torture, today condemned the continued detention without charge or trial of human rights lawyer Nasrin Sotoudeh in Iran and called for her immediate and unconditional release as she is held solely in connection with her work defending others. They warned that her arrest is the latest step in a series of measures intended to prevent Iranians – particularly those critical of the authorities - from being able to access appropriate, competent legal representation, a basic right and important fair trial guarantee. Nasrin Sotoudeh, the mother of two young children, has defended many high profile human rights campaigners and political activists, including journalist Isa Saharkhiz and Heshmatollah Tabarzadi, leader of the banned Democratic Front of Iran. 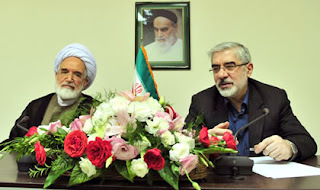 The former was sentenced and the latter tried after Nasrin Sotoudeh’s arrest. She has also represented juvenile offenders facing the death penalty and is acting as the lawyer for Shirin Ebadi in several cases. She has been held in Tehran’s Evin Prison since 4 September 2010 after she presented herself in compliance with a court summons. Since then she has only been allowed to make three telephone calls – two to her home and one to her lawyer, but so far has not been allowed visits by her family or her lawyer. The precise reasons for her arrest are still unclear, but the summons listed “propaganda against the system” and “gathering and colluding with the aim of harming state security”. These vaguely worded charges are among several articles in the Islamic Penal Code in Iran relating to “national security” which criminalize activities that are nothing more than the peaceful exercise of the rights to freedom of expression, association and assembly. Such provisions have previously been used to prosecute lawyers for statements and activities in defence of their clients. Nasrin Sotoudeh had previously been warned to stop representing Shirin Ebadi, or face reprisals. In turn, since her arrest, her husband Reza Khandan and her lawyer Nasim Ghanavi have been warned against speaking up publicly about her ordeal. Reza Khandan has even been summoned for interrogation in Branch 1 of the Revolutionary Court, which he has described as a “series of threats”. Recent months have seen increased persecution of defence lawyers. Mohammad Oliyaeifard, a lawyer and board member of the Committee for the Defence of Political Prisoners in Iran, a human rights organization,is serving a one-year prison sentence imposed for speaking out against the execution of one of his clients during interviews with international media. His client, juvenile offender Behnoud Shojaee, had been hanged for a murder he committed when he was 17 years old. Mohammad Olyaeifard has defended many prisoners of conscience, including independent trade unionists, as well as juvenile offenders. His lawyer is Nasrin Sotoudeh. Two other lawyers, both colleagues of Shirin Ebadi in the NGO Centre for Human Rights Defenders (CHRD), which they all helped to found, are also at risk of prosecution for their human rights work. Abdolfattah Soltani and Mohammad Ali Dadkhah were both arrested after the disputed presidential election of June 2009. Though both were later released on bail, they have court cases pending against them on similarly vaguely worded charges which could lead to their imprisonment and eventual disbarment. Prominent lawyer, Mohammad Seyfzadeh, who is also a founder member of the CHRD, is facing trial for “forming an association … whose aim is to harm national security” and “being a member of an association whose aim is to harm national security” in relation to the CHRD. He was banned from leaving the country in 2009, as has Dr Hadi Esmailzadeh, another member of the CHRD. The authorities are also resorting to other methods to prevent lawyers from practising their profession freely. Such measures include unwarranted tax investigations under which the authorities freeze the lawyers’ bank accounts and other financial assets and which could lead to the disbarring of a lawyer. Shirin Ebadi has herself been placed under such a financial stranglehold, when the authorities froze a bank account containing her Nobel Prize winnings, in violation of the law. Before her arrest, another victim of this tactic, Nasrin Sotoudeh discovered that not only were her financial affairs being investigated but that 30 other lawyers had cases of tax irregularities being prepared against them. In concert with this, the authorities have for years been attempting to limit the independence of the Iranian Bar Association by barring candidates from standing for election to seniorpositions on discriminatory grounds, including their imputed political opinions and their peaceful human rights activities. For example, in 2008, Mohammad Dadkhah, Dr Hadi Esmailzadeh, Fatemeh Gheyrat and Abdolfattah Soltani – all members of the CHRD – were were disqualified from standing for the Central Board of the Bar Association because of their activities as human rights defenders. In June 2009, less than a week after the disputed presidential election, new by-laws to the 1955 law establishing the independence of the Iranian Bar Association were adopted which would give the Judiciary the power to approve membership of the Bar and lawyers’ licensing applications, thereby undermining the independence of the Bar. Following opposition by the Bar and individual lawyers, in July 2009, it was reported that implementation of the by-laws had been suspended for six months. They are believed to remain suspended, but could be implemented at any time. Shirin Ebadi has not returned to Iran since the presidential election, as she would be unable to continue her human rights work. Other lawyers have been forced into exile for their own safety. Shadi Sadr left the country after she was detained for 11 days in July 2009. 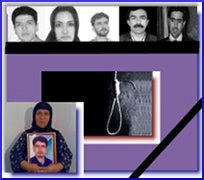 Mohammad Mostafaei was also forced to flee in July 2010, after his involvement in the case of Sakineh Mohammadi Ashtiani, an Iranian woman sentenced to stoning, led the authorities to seek his arrest, arresting of his wife and her brother in his place. The UN Special Rapporteur on the Independence of Lawyers and Judges has not been permitted to visit the country despite the Standing Invitation issued by Iran to all UN human rights mechanisms in 2002. Since August 2005. No UN human rights expert has been allowed to undertake a visit to Iran. Currently eight procedures have pending requests to visit, which have not yet been acceded to by the Iranian authorities. The organizations said that by making lawyers pay the price of their own freedom for doing their job, the authorities are further undermining an already deeply flawed justice system. With some lawyers behind bars and others threatened, their clients - who are themselves mostly victims of human rights violations - are left defenceless at the mercy of the authorities. This beautiful Tajic music brings unlimited feeling to my heart . I can hear the foot step of fascism in Iran! Will the green movement allow fascism to take over the country ! Without the doubt Iran and Iranian people are facing one of the most dangerous political curve ever in the history of Iran and definitely need the support of international communities.If we go back to the history, just befor the 2nd world war and the rise of fascism in Germany , Italy , Japan and other countries , the first things fascism and Hitler did was cutting off their relation with the world, and then following a rough and aggressive policy. Hitler was speaking on social nationalism , to attract and deceive nationalists and socialists at the same time.The economic crisis , state sponsord terrorism and repression ....all but warn us to beware . To wash our eyes, have the god's eye and not to stay nutral. Of course the situation of Iran and Germany and the time are different. But we must not forget , history sometime repeat itself . The current regime's actions are very similar to that of fascism. It may be the religious despotism turning into military fascism. If we look closely, the regime is changing its tune. Ahmadinejad's speech in UN had a message. There are almost daily state sponsord terrorism inside and outside Iran, The economic crisis, inflation, unrest inside Iran, the will of green movement to bring changes in Iran, Ahmadinejad's controversial speeches in international gatherings and foreign delegates boycotting his speech, all shows that something similar may happen and war is going to be imminent. Will Ahmadinejad be able to save the sinking economy of Iran? I doubt. 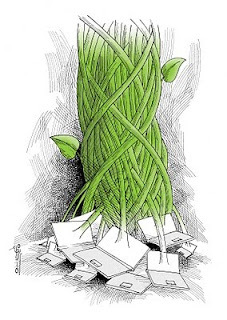 Leaders of green movement and members based on their situation must extend their social networking to as many as Iranian. People in the green movement must stay alert in the streets. The leaders must create variety of social networking in case the military fascism take control of the country. National coordination of general strike through various committees among them :oil workers, teachers, nurses, doctors, factory workers and government employees must be established and ready for action. I can hear the foot step of fascism in Iran , do you? More on Hossain Derakhshan..(3). This is an article written by Hossain Derakhshan in Guardian on May 7,2007!? IRAN WATCH CANADA calls for human rights of all Iranian and non Iranian citizens and Justice for all without bias. It's been over three months since he was cleared from widely publicised charges that initially brought him 14 years of jail and after an appeal was reduced to three years, all by a small court in a distant city from Tehran. But since he also had a blog with less than a few dozen page views per day prior to his arrest, the entire human rights machine (western media, watchdogs, and NGOs) started to spread numerous reports, showcasing him as the champion as an innocent victim of a brutal regime with a formulated policy for imprisoning bloggers who dare to write a word of criticism against the government. His case has reached such symbolic significance that it is always mentioned by the American warmongers, such as the American Enterprise Institute, when they try to make their long-dreamed-of case for the necessity of regime change in Iran. As a matter of fact, Iranian government has not had any such policy toward bloggers and the mere fact that blogging has become so mainstream in Iran (with over 700,000 blogs in the Persian language) and the existence of numerous blogging service companies that legally and publicly operate inside Iran, is evidence of this. Yes, the government has indeed filtered a lot of political websites, but so has UAE, Saudi Arabia, Turkey, Pakistan, Egypt and many other US allies. But Iran doesn't have a policy of imprisoning young men and women for a few words in their small blogs, as the western media would have us believe. Obviously the Islamic Republic cannot be as tolerant against criticism as, say, Norway. After all, I myself have experienced the intolerant government - all websites I run, including my blogs, are filtered and I was also detained and forced to sign an apology over my blog posts before I was allowed to leave Iran in June 2005. But unfortunately states become very intolerant when their existence is threatened (or when they think it is). And if the US and the UK, with their claims to defend basic human rights, keep thousands of suspected partners of their enemies without charge or legal rights for months and even years, creating special prisons such as Guantánamo Bay in which to hold them, what can you expect from a government like the Islamic Republic, whose very existence is continuously being threatened by big powers from day one of its revolution? 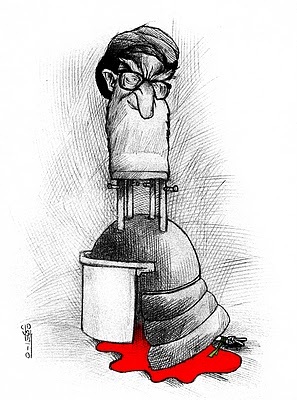 A new strategy seems to be that many of these human rights watchdogs, despite their integrity and genuine intentions, are depending heavily on one or two Iranian researchers who are usually among the victims of the very violations they are supposed to watch without any bias. The RWB case is especially interesting in this regard as an organisation in which only one person can read the Persian language and he has had his job for probably more than 10 years, now. He has fled Iran about 20 years ago after months or years of excessive hardships and pressure over his activities as a member of some outlawed radical leftist group. How can an important organisation depend on the judgments of only one individual with such a conflict of personal and professional interest? How can a person possibly be unbiased toward a government he or she hates? Perhaps that is why such organisations rush into demonising a government that they are already against and don't care much to cover the further developments, especially if they are positive. But it is your conclusion that is the most laughable. You claim that this incident might be used as justification for the USA to attack Iran. Sir, if the USA really did want to invade Iraq, they wouldnt need the case of one blogger to justify their actions. A disgraceful attempt to (1) Justify Iranian censorship and harsh prison sentences (2) to smear the whole western media because of the not unjustified interest in a 14 year sentence on someone for criticising the government (3) pretend that the USA is looking to use this incident as a pretext for invading Iran. http://news.bbc.co.uk/2/hi/middle_east/6631715.stm "A second editor of a student publication in Iran has been detained following days of unrest in one of Tehran's most prestigious universities." No need for Hossein Derakhshan to fear such a fate, though. He knows where his freedom is guaranteed. What a sham. What a shame he finds platforms for his double standards. Yep, you are confirming what you said earlier, and I am cool with that- so long as you also agree that the laws Israel passes are similarly only a matter for israel, and you are obviously saying that the laws the Nazis passed- eg the Nuremburg laws- were also entirely their own business and that others were obviously quite wrong to crticise them. OK, i think we are clear on where you stand on that; you do not care if Iranian bloggers and journalists are arrested and harrassed for criticising their government. That's a purely internal matter and nobody else's business. Curious, not even the author of the original piece was going that far, but never mind. Every dictator in History will applaud your principled stand. The Nazis, the Soviets, General Pinochet,the Apartheid regime in South africa would all hail your principled stand- you can never ever criticise the laws a country passes ). Er...I think you might like to check with your comrades that this is actually the party line.